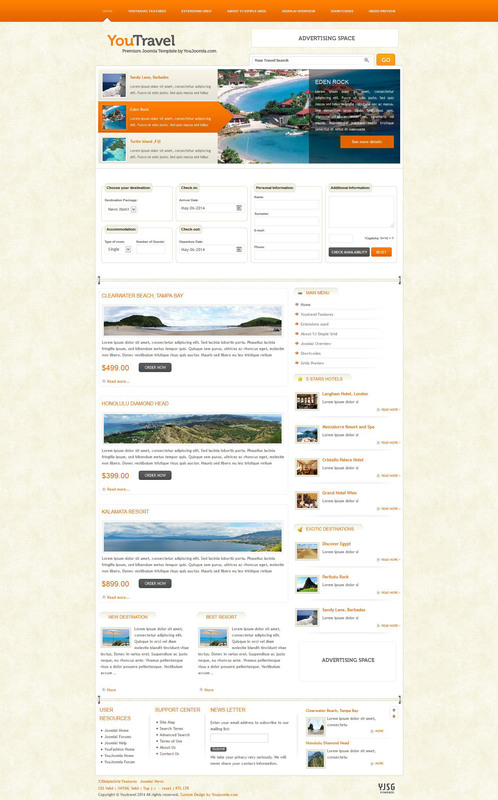 Template joomla YJ YouTravel with light and colorful design is perfect for travel or travel website portal. Since we are still in month of August and you might be playing with a thought to start a travel, vacations or booking website, Youjoomla Team has made this special Joomla Travel Template that will blow your visitors away and simply keep them clicking around. You Travel is a very special template and demo filled with new features.